Once upon a time, there is an iPhone 4S clone from China also called China phone. In the land of Philippines, there was a guy named (say your name) who happen to have an iPhone 4S (64 GB) cloned phone. After few days of using the unit he/she decided to login to Facebook, Twitter and other social media sites but the problem is it won’t connect to the internet. It cause an to user user every as he cannot update its status on FB and also cannot install games in it. Good thing he found this post that contains the steps on how to set up or configure the GPRS settings to connect to the network using Globe, Sun and Smart. Enough on those story telling guys, here's how to set GPRS on your phone. 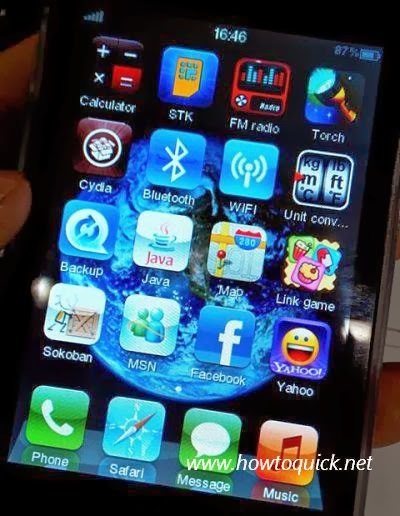 Note that the phone that I'm using on this tutorial is iPhone 4S java capable phone and not an Android. You can only install games and apps on this phone with .jar extension. Some games are already pre installed and some are not working having an error warning 'Application not found'. 3. Turn on the GPRS Service by sliding the button. 4. Tap on Network account, from there you can see the list of APN's if there are present config. 5. If there's an existing config for you network found, you don't need to create a new one. If it's empty or no APN for your network is listed, click on Options and add 'New Connection' to create a new APN the save. For your network APN details see respective provider below. Follow How To Activate SMART GPRS Settings. 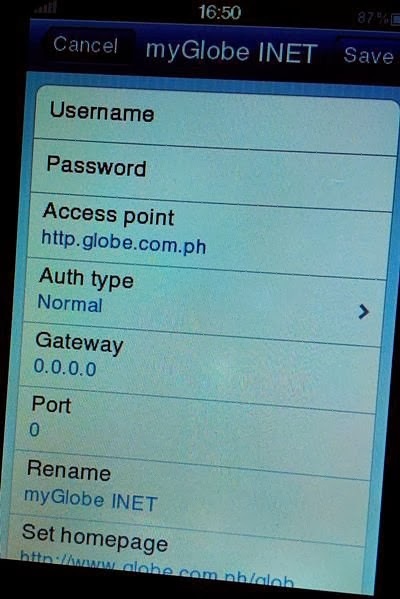 Follow Globe GPRS and APN Settings. Follow Sun Cellular GPRS 3G MMS Settings Activation. 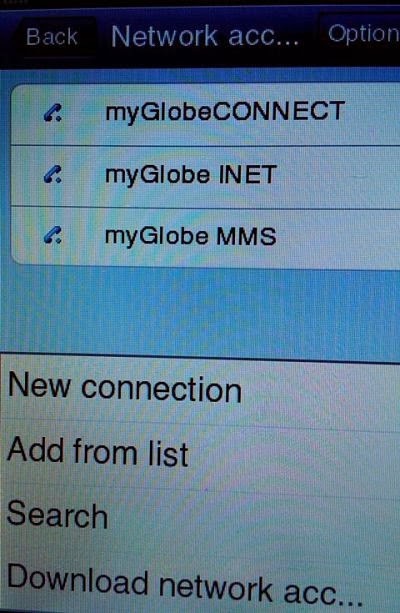 Note that for Globe Prepaid user, use http.globe.com.ph APN and for Smart use (SmartInternet) internet APN. See also sample image below on what to input. 6. Click Back or go to Home menu, click on your browser (Safari) it will prompt on what to use 'GPRS or Wi-Fi'. Choose 'GPRS' and you will be redirected to your browser homepage. 7. On your browser homepage go to Settings, tap on SIM network account to select what APN to connect when using internet service on this phone. 8. Click back, then try typing URL on your Safari browser address bar. That's it! If you're complaining about the speed on you are asking on how to speed up your internet connection using your iPhones 4S clone, do note that it's only 2G network so expect a slow loading.